Empowerment examples work wonders when we feel and then take small action steps towards our own dreams. Author Suzanne Skees is a masterful storyteller and a woman who launched a non-profit organization to help end poverty. 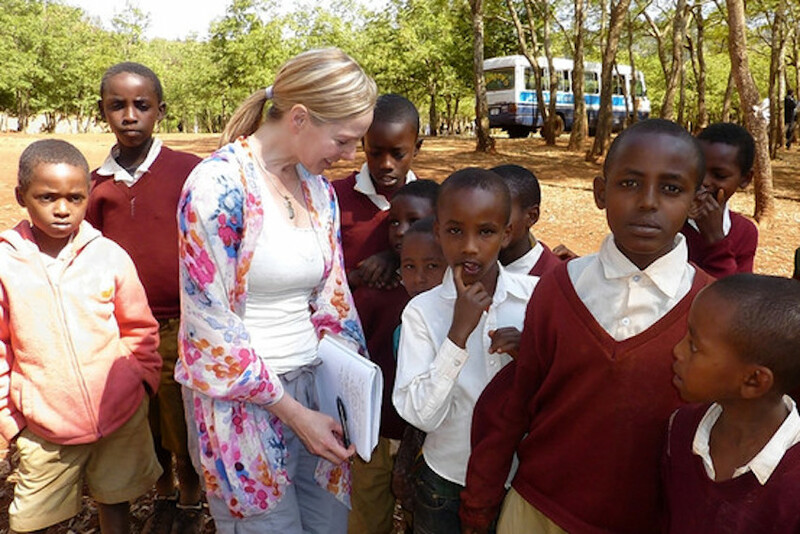 With her book titled MY JOB, she goes into details on how to empower others around the world. With her savvy for empowerment leadership, Suzanne Skees shares her secrets and tips on how storytelling and listening to such stories can fundamentally change how we approach our life’s decisions. The learning of how to empower yourself begins early in life. Why Is Empowering Others Important? Sharing stories means more than recapping the events of the day, gossiping about others, or pontificating about convictions. Authentic storytelling requires willingness on both sides: for the teller, to be vulnerable; and for the listener, to be receptive. The teller gains power in self-assurance, gets to know who they are, and maybe even feels safe in being seen. The listener gains power in the connection offered by the teller, discovers new ways to be and see the world, and maybe even feels affirmed by what they have in common. Empowering others is a two-way street according to Suzanne Skees who has been doing it for a long time. Empowering comes through telling and listening modes, both to be exercised at the precisely right time and place. Empowerment in business or in any other life’s venture is a vital ingredient that makes us stronger and better towards ourselves and the others around. Here are the tips of how to empower others and yourself coming from Suzanne Skees herself. Start with one person with whom you feel safe. Tell your trusted person about an even that shaped who you are today, and gauge that person’s reaction. Empathy? Respect? The more you practice with trustworthy listeners, the more confidence you will gain not just in your storytelling but in yourself. If you must speak to groups, you may be surprised to discover that almost everyone in your audience wishes you well and will greet you with warm eyes and open hearts, if you lead with authenticity. Take the listener with you to the time and place of your story: the sound of the wind in the trees, the sweltering heat soaking your shirt, the aroma of foods your grandma was cooking, the silky down of your baby’s hair. Get vivid. Your story is your chance to take someone along with you to a place they’d never otherwise get to go, so fill in their senses, and that will bring it all back to you, as well. Maybe every human being is as unique as a snowflake, but under the surface, we have much in common. Can you find that? 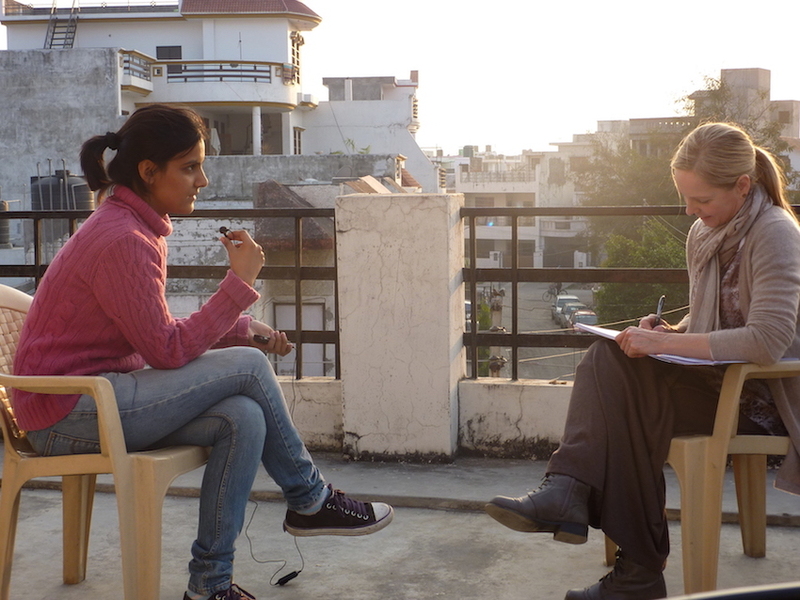 One day while in a remote village in northern India, I was interviewing a woman who’d just received a cow to milk for income. She had no electricity or plumbing in her mud hut, and she was ecstatic about the cow. But the real story was about her sullen-faced teenaged daughter, whom the translator and I surreptitiously pulled aside while her mother was boiling tea for us. Just like girls in the U.S. (where my readers lived), she wanted freedom — to hang out with her girlfriends, get out of the village and go to college, and live a glamorous life in a big city. The mother-daughter dynamic was relatable, and so was the girl’s determination to have a life very different from her non-literate cow-farmer mom’s. Do you know why you’re telling this particular vignette? We always have a purpose, although sometimes it’s unconscious. Are you trying to show yourself as virtuous, being a martyr who’s endured far too much, dissing a neighbor whose lifestyle you cannot condone? There are hundreds of reasons for telling a story, but I’ve found that the purest, most powerful stories simply take the listener there with you, to your memory, to experience it alongside you. Journalism teaches us to “show, don’t tell,” and it turns out that letting your listener derive their own conclusions will leave far more impact upon them. If you’ve got it, use it. It’ll get your point across and make you unforgettable. Both the Buddha and the Bible have declared humor as the highest form of wisdom. I once worked with an American photographer in Africa, where we didn’t speak the language but needed to get the story. He used nonverbal humor by jumping around and getting goofy with the kids, and guess what? He got eye contact, smiles, and lots of personality in those pictures. What I learned from him was that even if I’m not naturally funny, I can poke fun at myself to get a laugh, I can be clumsy and self-deprecating to establish rapport with either my audience or my interviewee. Set aside your preconceived notions of what the homeless man or stylish woman might be about to tell you. People will always surprise you if you allow them to shatter stereotypes. Even people you think you know very well have layers and tales you had no idea were in there. Other times, loved ones like my eighty-year-old adopted mom may repeat a story over and over again, but there could be new nuances. And if you probe, more juicy details she’d forgotten until just now. Until you practice active listening, it can be almost impossible to hear about someone else’s experience without immediately thinking, “Oh yeah, something similar happened to me!” But that distracts you from getting all their details, and it puts a layer of yourself on top of their story. Try to hear their story as a child would, with the magic of discovering along with the teller where they are taking you with their words. Getting below the surface takes time. Your teller may need to talk in loops for a while, to warm up or build trust in you. I can’t count the number of times that, as soon as an interview ended, the story got really interesting — maybe because the pressure and recorder were now off. During the waiting, this is when you might jump in with humor (poke fun only at yourself) or understanding (“I can relate; my sister also had breast cancer”). However, no one can resist a pair of soft eyes focused on them, and an ability to hold silence while they figure out how to put their story into words. Have Your Heard of Side-Tracking? The best stories I’ve ever heard have gone way off-topic, like when my friend was telling me about her dedication to Catholicism and ended up confiding about her affair with a priest, or when a man I was dating segued from his affinity for cooking to the way his stepfather hit and kicked him as a child. Unless what they’ve told you indicates that they or someone else is in danger, oftentimes just the sharing of the story can be quite therapeutic. Empathy looks nothing like what I used to think it was. It’s not sobbing alongside them. It’s not grabbing and hugging and rescuing. It’s not even problem-solving. It’s staying power: remaining present for the teller, hearing what it’s like to be them, taking their word for it, believing and respecting them. Perhaps the most radical example of this from my book series came when Chapter 15 narrator Mickey told me, “Even a terrorist, even a suicide bomber, is rational, within their worldview.” His ability to hold steady as an Al Qaeda member shared his story with Mickey, absolutely blew me away. But that’s what makes Mickey a diplomat. 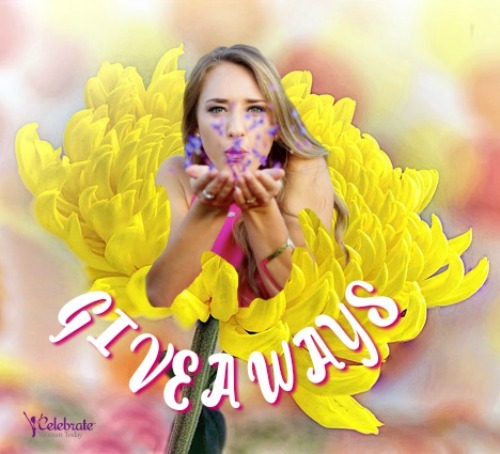 Author Suzanne Skees would like to sponsor this amazing giveaway to support women out there to spend more time sharing their stories and listening to the stories of others. This is a two-way street to empower each other in a conspicuously beautiful and ever-evolving way. 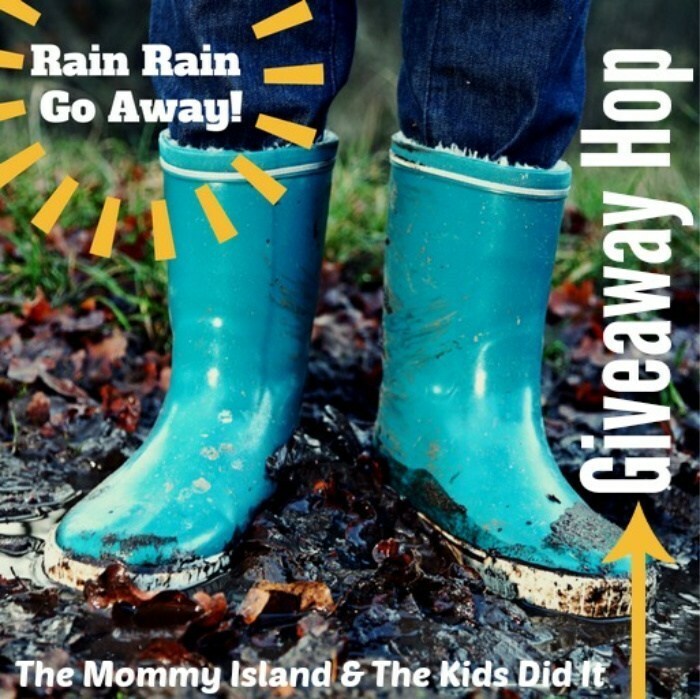 Would you like to win an amazon gift card and Suzanne Skees book MY JOB? 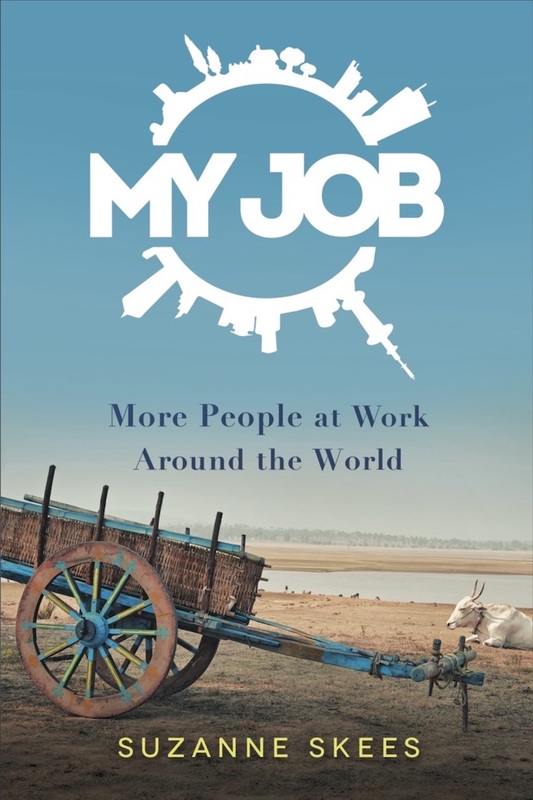 OUR WORK, OUR WORLD: In book two of the series My Job: Real People at Work Around the World, Suzanne Skees profiles fifteen professionals in health and recovery, education and finance, agribusiness and processing, tourism and culture, and diplomacy and peace. Each chapter takes the reader on a virtual voyage to villages, cities, and farms to hear first-person accounts from workers. The book explores the skills and challenges of each occupation, how one lands in a particular job, what causes one to flourish or flounder in it, and how our job shapes our sense of identity. As Skees discovers, the story of a job quickly becomes the intimate story of a human life, with narrators revealing their childhood traumas and future dreams, deepest fears and hidden passions. Readers just may discover that while the occupations and cultures we work in are different, the deep ways that work impacts our lives are universal. Check Our What You Could Win on the Blogs Below! Aprils is an abundant month for many things. Some are celebrating Spring cleaning, others are planning for their children’s college entry or wedding. Many people are busy mapping out their Summer travels and spending more time on the things they need more time for. Whatever your personal needs are, take them with a lot of thanks and peace of mind. We understand the importance of small things during the events that shake our entire system up. You don’t need to wait for any such shock or shake-up. Plan out what you need now and begin doing it. Celebrate your moments every day! I’m buying epoxy and making cool things! I will use it to buy books for my 2 sons. I’m going to buy some new plants for the house with the $30 Amazon Gift Card. I would use it towards baking supplies. I love to bake and have a hard time splurging on unique bundt pans because it feels like such a splurge. I would buy more stuff for my fairy garden. I would put it toward some new dinnerware. I would use this to buy birthday party supplies for my granddaughter’s birthday party. I would buy a bird feeder, so I could watch them from my kitchen table. I am going to add it to my amazon account and save it for my granchildren’s birthdays this summer. Buy stuff for the upcoming swimming season! I would get Broadway CDs. I would get new boots. I would buy books for the beach. I plan to buy some new books to read on vacation. I’m not sure yet…but maybe use it to buy some gardening supplies for me and/or my sweet hubby. Thanks and God bless! I would buy stuff for my cat. I would use it towards beauty products. I would buy Lego for my kids. i would start stocking up on diapers. Dog food and dog treats and then dog food and dog treats and then ,,,,,, 8 of ’em get hangry! I would put it toward a trip to the zoo. It is such beautiful weather to do that. I’m going to buy a lot of audiobooks and pajamas. I would probably buy something I want or something cute for my dog. I would love to use it for books. I will do what I always do. Buy canned cat food for my elderly rescue cats. Most are so old they have no teeth. I would use the Amazon gift card to buy Aquaman on Blu-Ray for family movie night. I would put this towards a new baseball glove. Someone stole his at his last practice. I’m about to start a new job so I’d invest it in this new beginning by buying a new planner and a thermos for the upcoming coffee needs to set myself up for success! I will purchase toys for my niece. Towards a new deep fryer a new beginning for fried chicken and french fries! I’m going to use the gift card to buy supportive flip flops. I am saving up on Amazon for a major purchase, so it would be added to that. I would put it towards a printer. I would probably get some new summer clothes for my little girl. I would like a pair of headphones. I will get some toys for my new rescue dog! I would get my children something. I would buy myself a new computer mouse. I would buy my birthday present for my April birthday. I have been losing a lot of weight, so I am going to buy me a new outfit. I already have hair products in my amazon cart therefore I would purchase the hair products to use on my new hair cut. I would like to get new solar lights. I would buy a small pool for my kids. Buy a new pair of sandals! I would buy some plants for my garden. I have my eye on some board games I’ve been wanting. This GC would help. I would use the gift card to buy this book for me and use the rest of the gift card to purchase snack for my elderly mom from Amazon fresh. I would use this towards a new bathing suit or some beach towels! I would use the money for an incubator and hatch chicken eggs. I would buy something special for my grandson’s birthday. I would purchase some new exercise leggings with the Amazon gift. Speaking of new beginnings! I just started my blog, which has been a dream of mine for a very long time! Spring will have more than one meaning for me. I’d put it towards buying new things to help me redo my front yard. I would get a cute garden ornament. I would like to buy new summer sandals! I’d put it towards a new camera. Lots of birthdays coming up, so I would use it toward a gift! I will use it to buy clothing. I really love to get out and backpack and hike during Spring and I’m always in the need of new gear for my outdoor needs. I usually buy food for my cats on Amazon. I would let my kids pick out new books. I would love to get my kids some gardening supplies so we can plant some flowers this spring! I will get health supplements. I would use it for either seeds to plant or maybe a houseplant or two. I’m wanting different varieties of sunflowers for a spot in my yard. My 13 year old is graduating middle school so I would use it to get her a little graduation gift. Use it to on beauty products. I would probably buy books or perhaps a pair of sandals for the summer. I will probably buy some skincare, beauty or bath products. I would probably use it to buy household essentials. I would love to buy some new plants for our backyard to spruce it up for Spring! I would spend it on my grandson’s!!! I do a lot of motorcycle runs and raise money for charities. I’ll get some new Spring shoes. I would use it towards getting a mother’s day gift! I would use the Amazon gift card for a new sheet set for my bed. I would spend it on clothes for my son. I’ll save it to put towards outdoor toys for my nephew. I would use it to purchase a new book I have been wanting about the brain and how to actually control your thoughts and reflexes. I’m hoping it will help me with my misophonia so I that I can control my reactions to offending noises. I will buy a pair of sneakers. I’d use this to buy a new screen protector for my phone. I would use the card for new shoes for my grandson. I might use it to buy some garden tools. I would like to give it to my daughter for her birthday, I’m sure she would purchase a book with the gift card, she loves to read. I would buy household supplies. We have an inground pool that needs painting this year, would love to get a start on buying the items needed to get started, we already have the paint. I’d like to get some new summer tops for vacation. I would get more books. I would buy toys for my granddaughter’s birthday. I would get a new bottle of foundation. I would use the gift card to buy more e-books for my granddaughter and I. I love that she loves to read as much as I do. I want to put it towards a Kindle. I’ll probably use it towards some new Blu-rays. Some solar lights for my yard, either stake or string sets! I would like to get a new dress for summer! I would most likely use it for music. I would use it to get more ink for my printer. I’m going to save it for a rainy day! 🙂 – Michelle D.
I will purchase some home decor items I’ve been wanting. I would use the gift card for a Roku streaming kit. I would put it towards baby supplies! We’re due in October! I would buy some mulch for around my house. I would buy some supplies for hiking and camping. I would buy something fun for myself. I usually get something needed, but I need some fun in my life. I would use the giftcard toward my daughters birthday party next month. I’m going to get some decor for my patio. I think I’ll look for some nice summer sandals! I would use it toward some new shoes or clothes for my kids. They are growing like weeds around here! I would use it for a new swimsuit. I would purchase some small organizational containers for my tiny pantry cupboard. I’d use it to purchase a new pair of leggings. Thanks. I would probably use it on sandals. Thank you for the chance to win! My daughter will be turning 4 years old next month, and I would love to use the $30 towards getting her presents–especially items that she will need when she starts preschool in August. I could use some cute slip on shoes for spring/summer. I would use it to buy a purse since one of the handles just broke on my current one! I would use it to buy some new sandals. I would buy some new workout clothes. I am going to buy my son a new rug for his new house. I want to buy some beauty products. I would get a couple pairs of new gardening gloves with this gc. My son will be graduating from boot camp. So I would get him a gift. I would use it on supplies for our vegetable garden. I would probably use it to purchase a second flash for my photography! I would use it to buy baby things i need. I would use it for clothes or sandals. I’d really like to buy some activewear for myself, or save it up for a mother’s day gift. I would add this to my Amazon account that I am saving for Christmas presents. I will buy solar lights for our back yard area. I would love to use this gift card towards some new tennis balls for my grandsons! I would buy myself a cute spring purse or shoes. I would buy some books from my wish list. I will buy a new Spring top. I would buy new headphones for running! I love to run outside in the spring. Buying some really good active yeast. I’d get some workout clothes! i will probably buy some books for the kids! 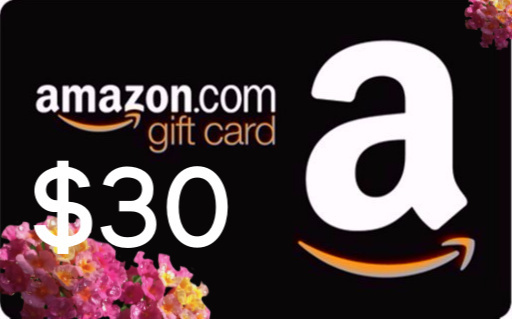 What are you going to do with this $30 Amazon gift card? Usually either vitamins, cat stuff, or men’s clothes and items. I will buy something for my garden. I will buy books and vitamins. we moved into a new , well new to us, home in September. Now that its warmer i’m so looking forward to the time we will spend in our big back yard! I would love to purchase a pair of exercise shoes. I would use the prize to stock up on skincare. I’ll put it toward a new pair of sneakers. I will use it to reinforce the door, getting door jambs and similar items. I would put it towards a new swimsuit! I am going to buy video games. I would get new outside toys for the kids! I will probably buy something for around the house. I would probably use it towards some summer clothing!